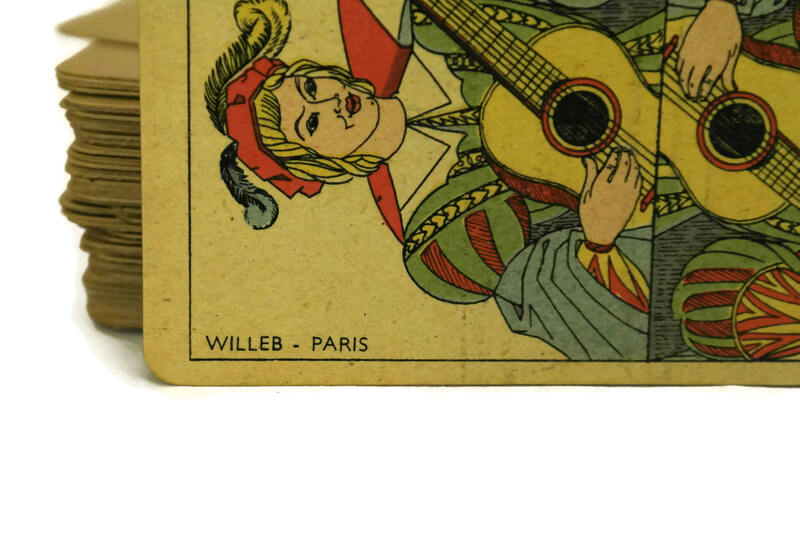 Willeb Tarot Pack of Cards. 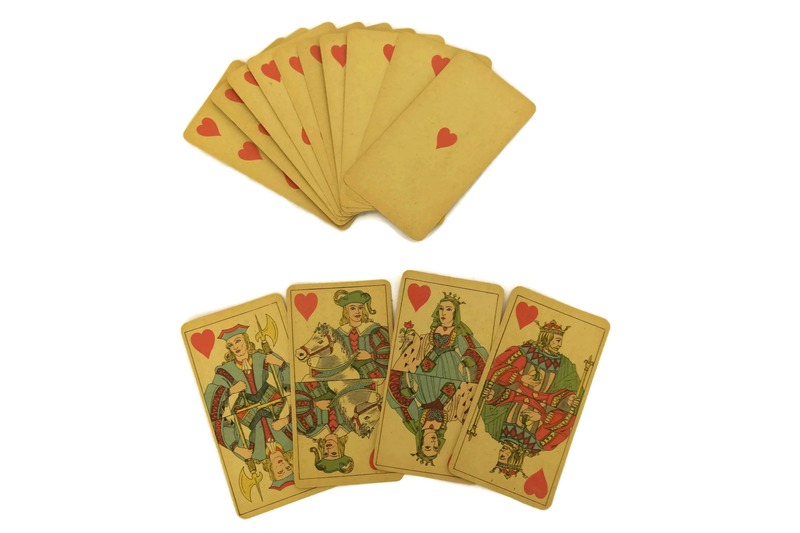 French Vintage Deck Of 78 Playing Cards in Box. 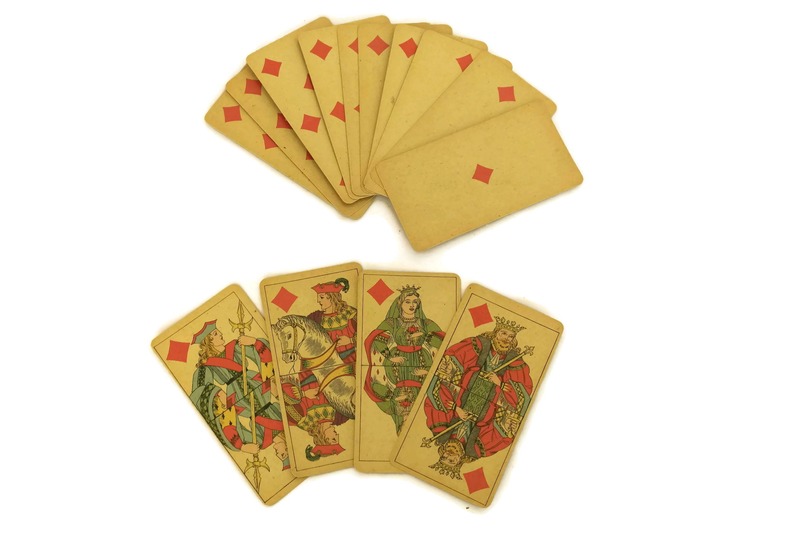 Casino Party & Game Room Decor. Gifts For Him. 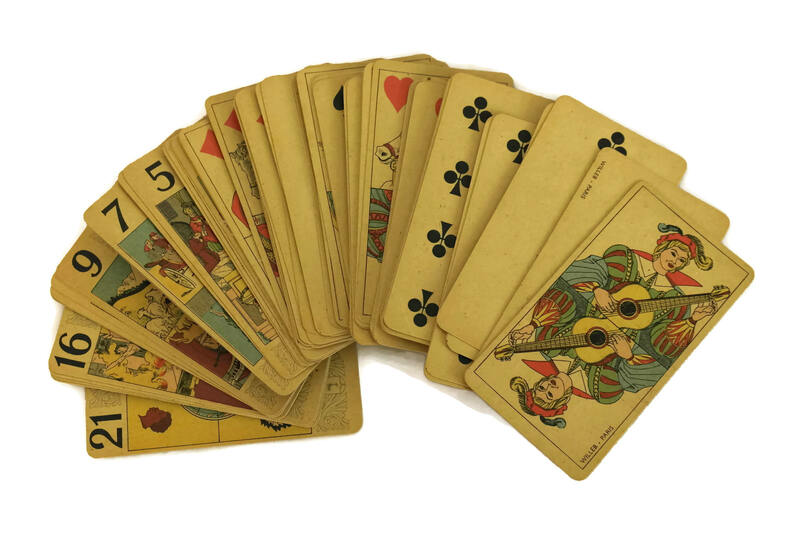 Oracle Cards. 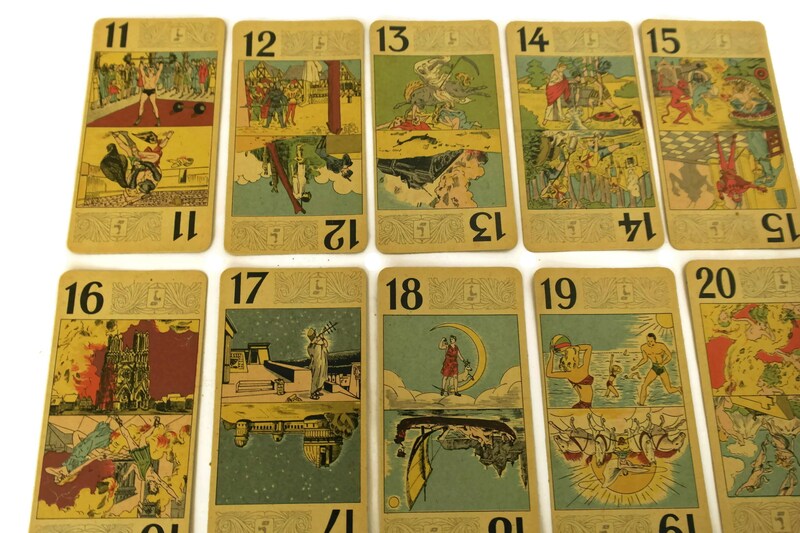 A rare vintage pack of Willeb Tarot cards from the 1950s. 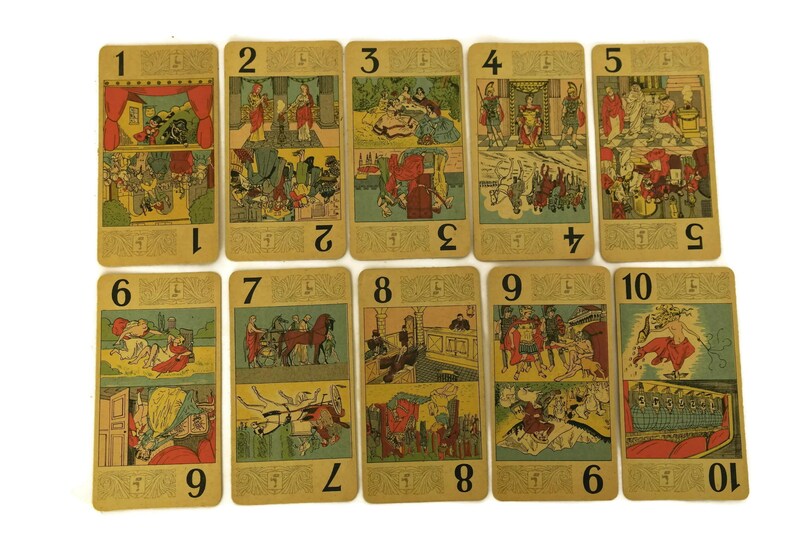 The deck of 78 playing cards is used to play the traditional game of Tarot and its variations. 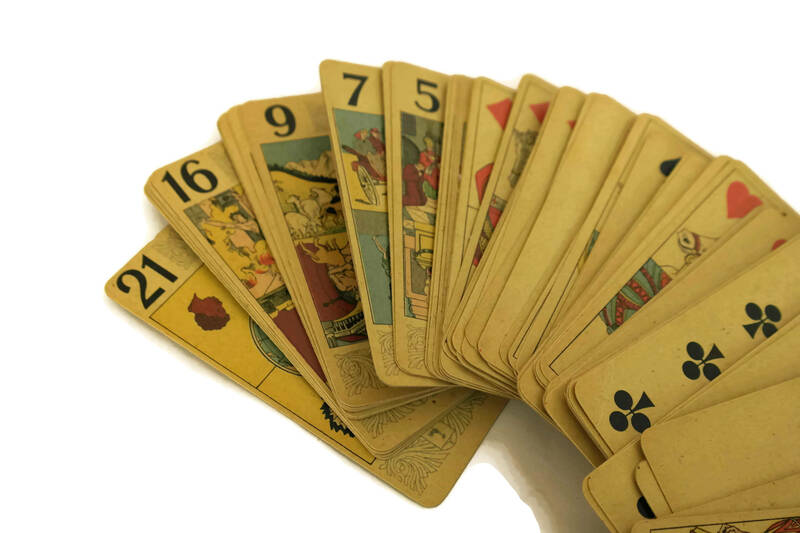 It is also used by some as oracle cards. 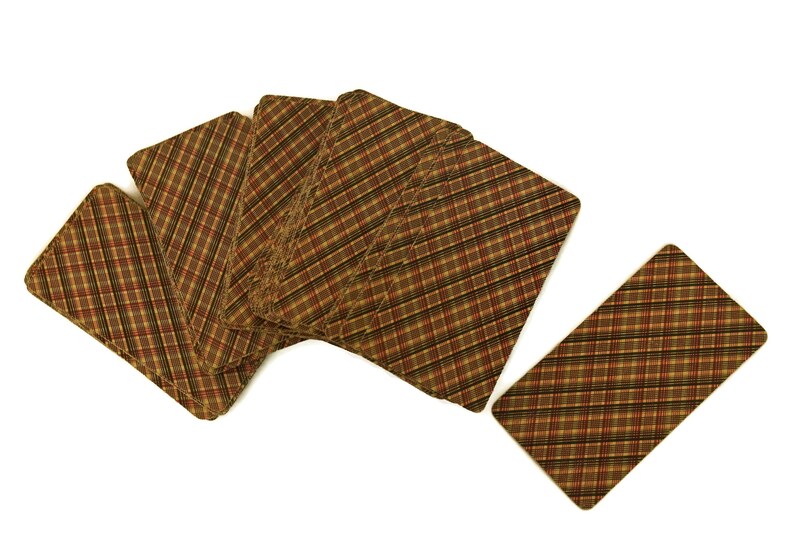 Each card is 4 1/2" Long x 2 1/3 Wide (11 cm x 6 cm). 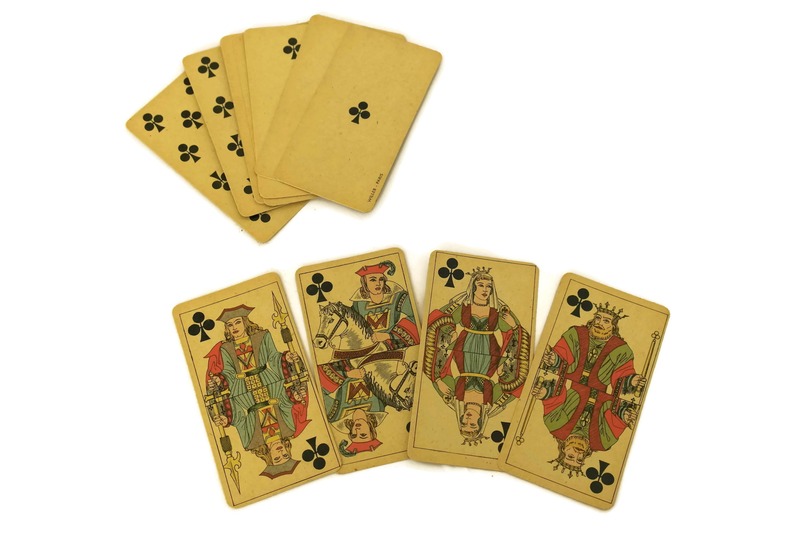 The deck of playing cards is in very good condition with light wear and signs of age. 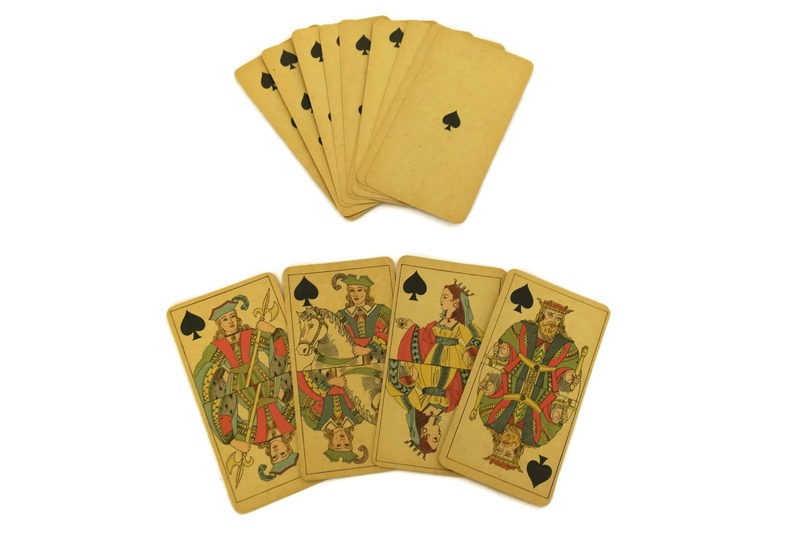 There is no original presentation box therefore the deck is sold loose.